This morning I had my first radio interview, and it was really fun. Waking up early for it was difficult (especially to find that my cat had taken a dump on my bed) but I made it on time to talk with Ed and co-host in CKUT (90.3 FM) show "The Tuesday Morning After". 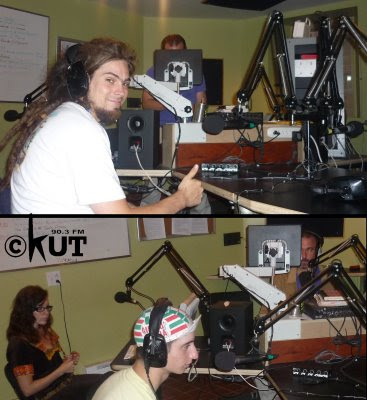 If youd like to hear the whole show, go to https://secure.ckut.ca//64/20090721.07.00-09.00.mp3 . If you want to skip up to my interview, go up to the first quarter of it, but it's a pretty good show all around, even when Im not talking my junk. Enjoy! This is tite - you needed a blog!